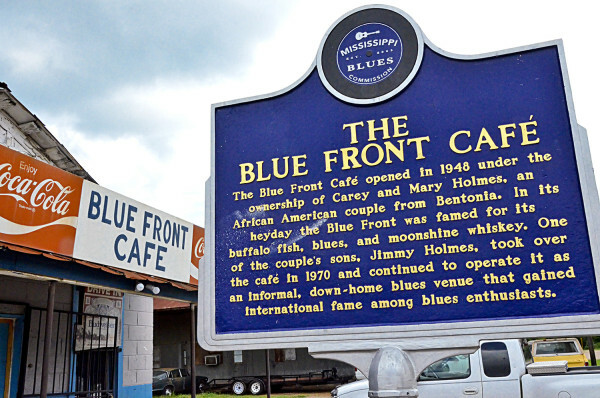 Home → Tours → Yazoo County’s Blue Front Cafe and Glenwood Cemetery Make Top 40 List of Places to Visit in the Mississippi Delta! The Blue Front Cafe in Bentonia, Mississippi, opened in 1948, making it the oldest juke joint in Mississippi that is still in operation. The site draws thousands of blues fans from all over the world each year to the tiny town of Bentonia to hear the ‘real-deal blues’ from owner and operator Jimmy “Duck” Holmes, the last of the Bentonia blues men. Yazoo City’s Glenwood Cemetery, a favorite stop for visitors to the area of all ages, includes the grave of the infamous “Witch of Yazoo,” as well as a mass Confederate grave. The Cemetery took home the title of runner-up in a 2012 poll on HuffPost Travel of the “Spookiest Cemetery in the US.” Perhaps most significant, Glenwood is the final resting place of the famed Mississippi author whose tales of growing up in Yazoo have become a part of the study of Mississippi history for school children across the state, Mr. Willie Morris. The Mississippi Delta National Heritage Area is a partnership between the people of the Mississippi Delta and the National Park Service. The MDNHA was designated by U.S. Congress in 2009 and is governed by a board of directors representing agencies and organizations defined in the congressional legislation. 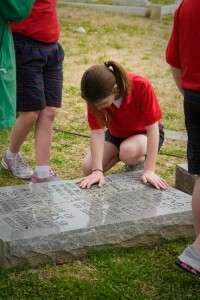 More information about the MDNHA, including the complete approved management plan, is available at www.msdeltaheritage.com. The Delta Center for Culture and Learning at Delta State University is the management entity for the Mississippi Delta National Heritage Area. The mission of The Delta Center is to promote greater understanding of Mississippi Delta culture and history and its significance to the world through education, partnerships and community engagement. For more information, visit www.deltacenterdsu.com.